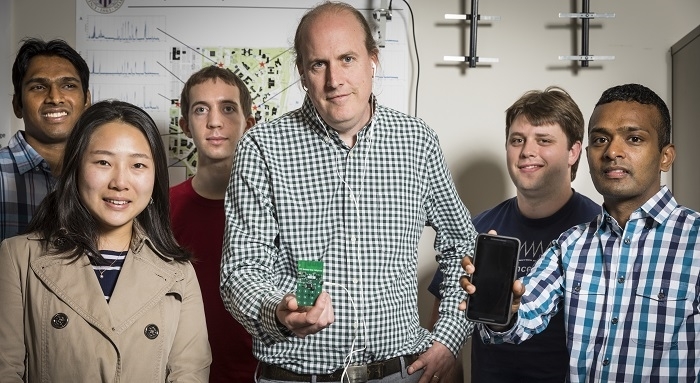 A team of researchers from the University of Washington have invented a cellphone that requires no batteries. Instead, the phone harvests the few microwatts of power it requires from either ambient radio signals or light. The technological development is a major leap forward in moving beyond chargers, cords and dying phones. 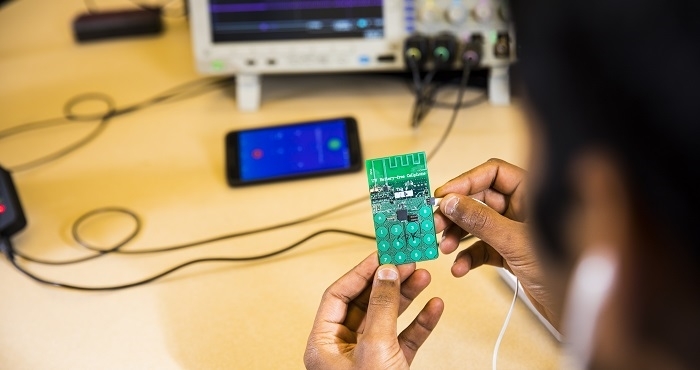 The team made Skype calls using its battery-free phone, demonstrating that the prototype made of commercial, off-the-shelf components can receive and transmit speech and communicate with a base station. 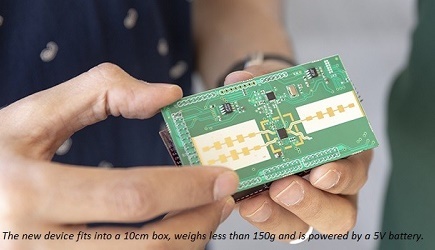 According to the research paper, the researchers have built what they believe is the first functioning cellphone that requires almost zero power. To achieve the negligible power consumption that is needed to run a phone by harvesting energy from the environment, they had to fundamentally rethink how these devices are designed. The team of UW computer scientists and electrical engineers eliminated a power-hungry step in most modern cellular transmissions - converting analog signals that convey sound into digital data that a phone can understand. This process consumes so much energy that it’s been impossible to design a phone that can rely on ambient power sources. Instead, the battery-free cellphone takes advantage of tiny vibrations in a phone’s microphone or speaker that occur when a person is talking into a phone or listening to a call. An antenna connected to those components converts that motion into changes in standard analog radio signal emitted by a cellular base station. This process essentially encodes speech patterns in reflected radio signals in a way that uses almost no power. To transmit speech, the phone uses vibrations from the device’s microphone to encode speech patterns in the reflected signals. To receive speech, it converts encoded radio signals into sound vibrations that that are picked up by the phone’s speaker. In the prototype device, the user presses a button to switch between these two “transmitting” and “listening” modes. The battery-free phone does still require a small amount of energy to perform some operations. The prototype has a power budget of 3.5 microwatts. The researchers demonstrated how to harvest this small amount of energy from two different sources. The battery-free phone prototype can operate on power gathered from ambient radio signals transmitted by a base station up to 31 feet away. Using power harvested from ambient light with a tiny solar cell - roughly the size of a grain of rice — the device was able to communicate with a base station that was 50 feet away. Many other battery-free technologies that rely on ambient energy sources, such as temperature sensors or an accelerometer conserve power with intermittent operations. They take a reading and then “sleep” for a minute or two while they harvest enough energy to perform the next task. By contrast, a phone call requires the device to operate continuously for as long as the conversation lasts. The new technology was detailed in a paper published in the Proceedings of the Association for Computing Machinery (ACM) on Interactive, Mobile, Wearable and Ubiquitous Technologies. The research was funded by the National Science Foundation and Google Faculty Research Awards.